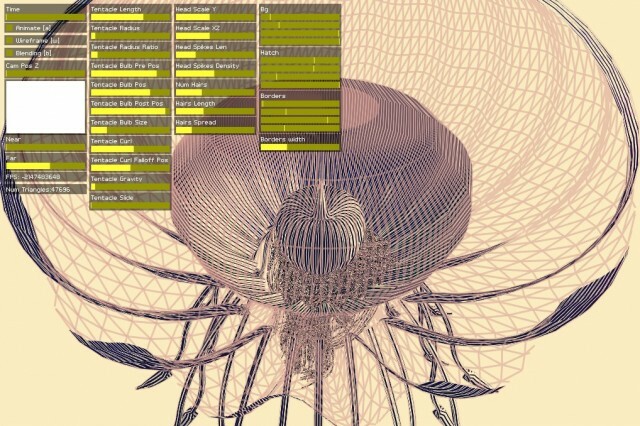 Generative Jellyfish from Marcin Ignac on Vimeo. 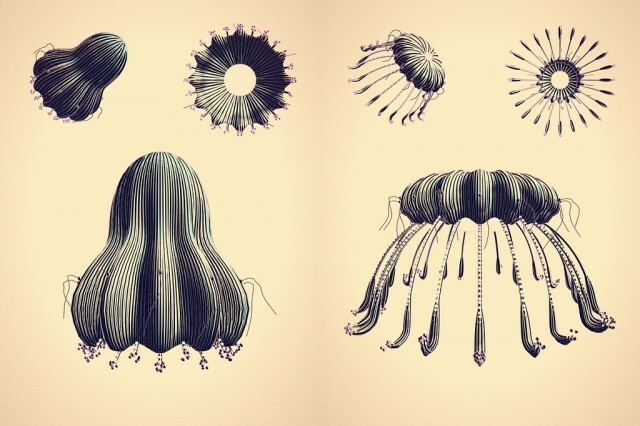 “Cindermedusae is a generative encyclopedia of imaginary sea creatures.” Marcin was interested in generating “organic and believable forms,” so decided to experiment with a jellyfish. The end result is quite beautiful. 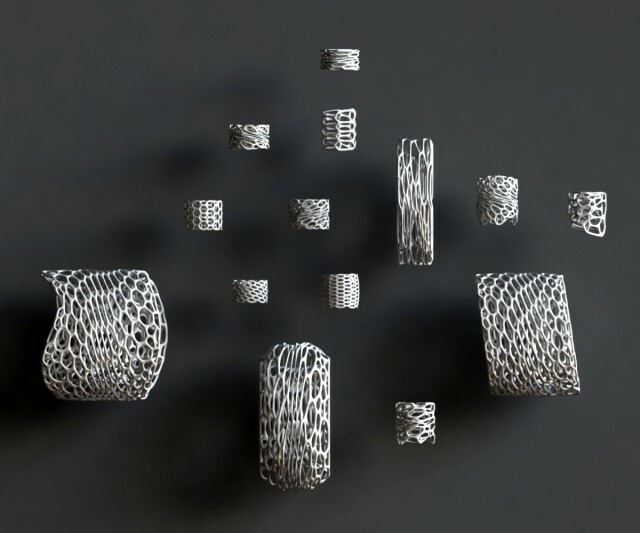 When I first saw the final result, I did not realize that these were generated because of the way that they were rendered to appear like scientific illustrations. This was an unexpected form to study and I was really impressed with the outcome. Created with OpenGL, GLSL and Cinder. A lovely collection of process images can be found here. Spamghetto is spam-based wallpaper that is generated from junk-mail subjects scraped from Gmail mailboxes. I like the idea of taking something that has a negative context and turning it into something beautiful. 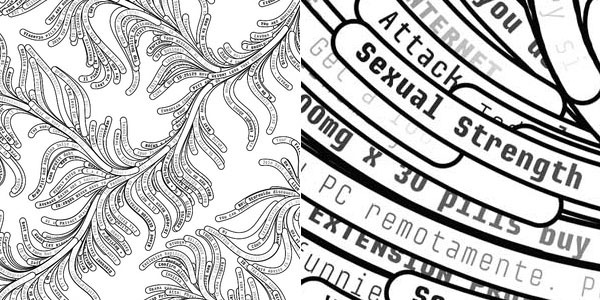 The generative forms are visually appealing on their own, and make for very interesting wallpaper. There are a number of different designs, which you can order from their website: http://www.spamghetto.com/. My one critique of this would be that the generated form is not reflective of what the content is, but I don’t think that was the intention of this project. I love the idea of generating functional products. 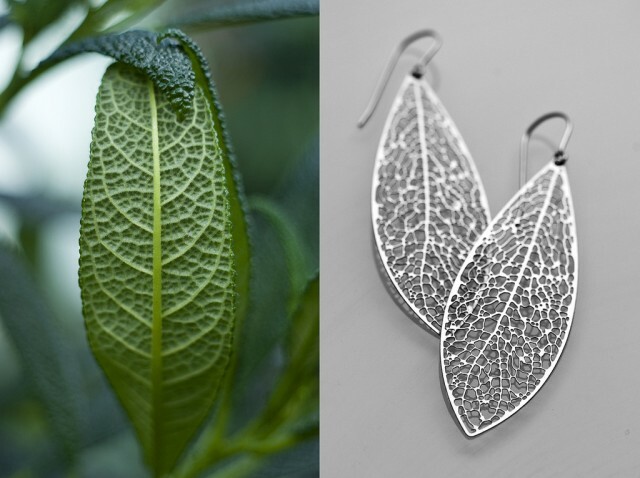 As a jewelry designer, I especially appreciate the generated design approach to creating jewelry. This is a technique that I would be quite curious to explore and possibly integrate into my own designs, which have a very different feel and usually feature vintage materials.